KINGSTON, Jamaica, Mar. 23, CMC – Members of the main opposition People’s National Party (PNP), walked out of Parliament on Wednesday to protest against the government’s refusal to adjust the J$13.5 billion (One Jamaica dollar =US$0.008 cents)tax package. The opposition parliamentarians who chanted “roll it back, roll it back”, left as Finance Minister Audley Shaw closed the 2017/2018 debate. “We walked out in protest as we want a Jamaica that works for all not just prosperity for a few,” PNP Jamaica said in a tweet shortly after leaving the sitting. “You can walk out of the house, but you can’t walk out on the people of Jamaica,” Shaw said. However, the 30 Government MPs approved the package with Shaw saying that it is “cast within a framework of fiscal responsibility”. 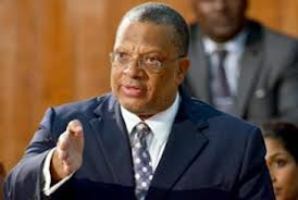 Meanwhile, during a hastily called press conference, the PNP’s spokesman on Finance Dr. Peter Phillips said the government showed no willingness to make any adjustments, despite the widespread cries and appeals from Jamaicans for the tax measures to be rescinded. The government has been faced with mounting criticism following the presentation of its tax package. But Shaw says the package was strategically designed and the decisions were not taken lightly. A raft of tax increases were announced as the Government seeks to finance the budget. 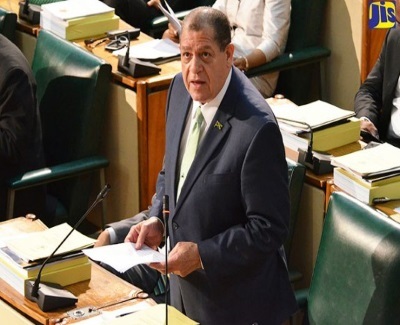 The budget is an almost 20 per cent increase over the current year’s, moving from J$592.7 billion to $710 billion when it was tabled in February. In closing the budget debate, Shaw said the government believes the budget was cast within a framework of fiscal responsibility.